In our last post we discussed the need recognized at the Automated Vehicle Symposium for varying levels of vehicle autonomy based on the road and current conditions. One of those conditions is clearly work zones. A car may be able to operate at Level 4 autonomy in freeway traffic, but may have difficulty ding the same in some work zones. In those cases we must signal the vehicle to alert the driver to prepare to retake control. And that warning will have to be given leaving sufficient time for the driver to become cognizant of the dangers around his or her vehicle. A poster session at the AV Symposium by Chris Schwartz of the University of Iowa looked at that timing. Their study focused on large trucks and found drivers needed as much as 10 seconds to get their wits about them for normal driving. Work zones should probably allow a little more time, as drivers may have to start immediately to negotiate lane shifts, narrow lanes, or other challenges. So ideally this signal would come at about the first construction area sign (ROAD WORK AHEAD). The conventional method would occur through the cars digital map. That will be how other hand-offs take place, such as when driving from a roadway capable of supporting level 4 automation to an older stretch only capable of supporting level 3. But those are points that rarely move or change. Work zones may only take place for a few days, or a few hours. As we have discussed in past posts, the map must be updated in real time for features like this to work correctly. Manufacturers are working today on beacons, arrow boards, and more that will signal when lane closures begin and when they end. This is already happening today and will only become more popular as smart technology is accepted in more and more work zones. But another option was mentioned in the same session. 3M is experimenting with a way of placing two-dimensional bar codes within their reflective sign sheeting. The bar codes are only readable by infrared cameras. Drivers would never see them. They would just see the static sign saying something like ROAD WORK AHEAD. But the car they are driving would be triggered to return control to the driver. This technology is in the very early stages of testing. 3M has signs up on freeways in Michigan now and hopes to test more of them in the Bay Area of California soon. It is too early to say this is a solution but it does show promise. 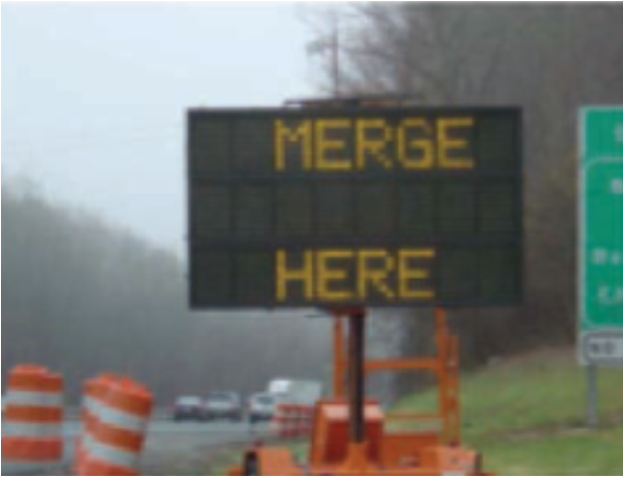 A combination of map triggers and these signs would provide some redundancy and might also be a simpler way of notifying drivers of very short term work zones such as those installed by utility companies and smaller agencies. The good news is that both the traffic control industry and the AV industry recognize the importance of this hand-off prior to work zones and they are working to find solutions. 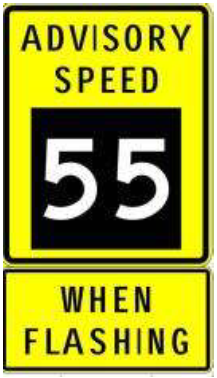 In a post on April 24th we discussed a recent webinar on variable speed limit signs. The speakers voiced their disappointment in the technology and found very little if any benefit from their use. 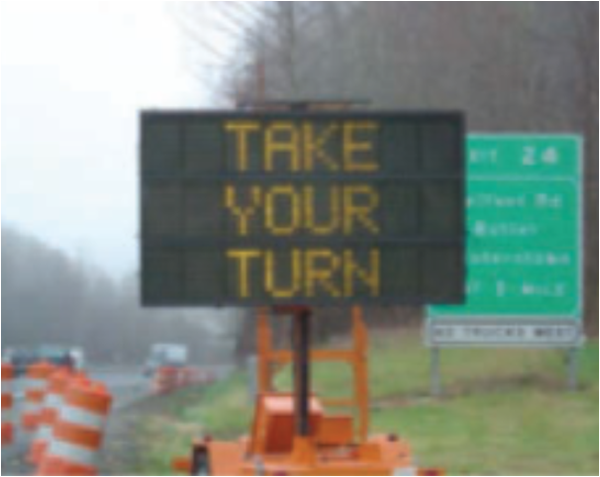 But now a new study by the University of Missouri saw far better results for VSL signs used in work zones. “Evaluation of Variable Advisory Speed Limits in Congested Work Zones” by Praveen Edara, Carlos Sun and Yi Hou found far better, but still mixed results when using Variable Advisory Speed Limit signs in work zones. As we have known for some time, the VSL results depend to a great extent on the algorithm used. In the Missouri study the original algorithm used in the field resulted in shorter queue lengths and reduced speed differentials. In fact the maximum speed differential was reduced by a remarkable 10 MPH. However it also reduced throughput by 7 to 11% and travel time increased by 4 to 8%. So the results were mixed. They then experimented through simulation. Using the same traffic data they tried two other algorithms. One smoothed over a one minute period and the other over a 5 minute period. The original field algorithm smoothed over a 30 second period. The 5 minute smoothing algorithm still reduced throughput but only by about 1%. At the same time it reduced end of queue conflicts by 30% and lane changing conflicts by 20%. Speed variances remained low. And they saw medium to high compliance with these advisory signs. Compliance is key, of course, and the Missouri experience was very different from previous installations in places such as Utah and Oregon. Even where VSL posted limits were enforceable, compliance only occurred when message signs explained the reason for the speed limit reduction or when law enforcement was present and actively enforcing those limits. The reasons for this could be many. Maybe Missouri drivers are just more law abiding. It was not discussed in the study but perhaps MoDOT did a better job of explaining VSLs to the public before they were installed. Or perhaps the need for variable limits is more apparent to drivers in a congested urban work zone. But whatever the reason, it is clear we should not give up on variable speed limit systems just yet. More studies are needed, especially on the subject of the best applications for these systems and the algorithms driving them. As most readers will know, I’ve been involved in work zone ITS for nearly 20 years now. So I assume most people are aware of the technology and aware of the availability of studies, best practices, specifications, and more. But one should never assume, especially in a discipline where new practitioners are arriving every day. This was hammered home to me in a phone conversation yesterday. A fellow contractor complained about a state that just let a project with a work zone ITS spec that no one can meet. Another person on the call told a similar story about an engineering firm. This website was just introduced to members in February. It is still new so we are adding resources every day. But because it is new, you can be sure that everything there is current and the best information available. 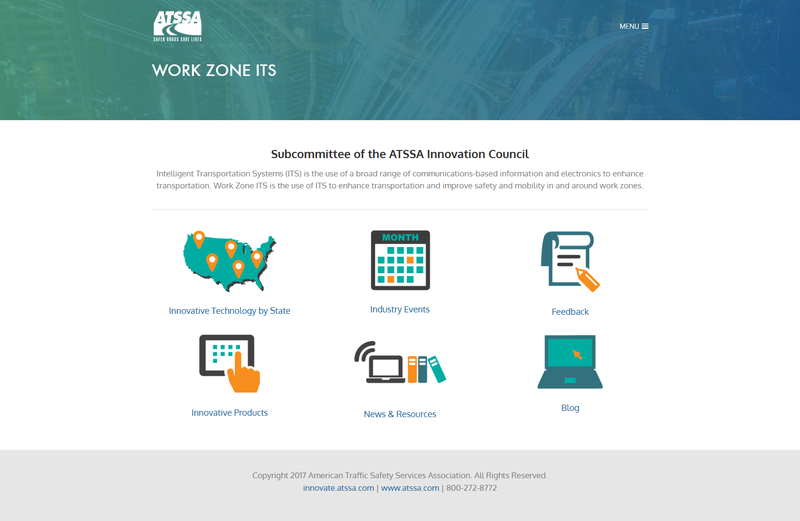 On the ATSSA website you can learn about new technology, you can search for projects by state, and you can view upcoming industry events where you’ll be able to learn more. There is a blog area where you can read this and many other work zone ITS – related blogs. And most important there is a large section devoted to news and resources. Check it out today! At any given time, perhaps 5% of Google Maps data is wrong. And the reason is simple. Construction traffic control requires contractors to close lanes, redirect traffic into oncoming lanes, or close roads altogether until the work has been completed. Those closures are reported to state and local agencies. And those reports are picked up by Google and other traffic data aggregators. But they are often wrong or out of date. In most states, contractors are required to request permission to close a lane. That request must be made well in advance of the date on which they wish to close the lane, 7 to 10 days on average. By the time that day comes long, construction delays, weather, and other issues often postpone the work and the lane closure does not take place. Contractors also often make several requests so they will have a multi-day window in which they can perform the work. The days they don’t work are called ghost closures. Some states have moved to eliminate ghost closures by requiring contractors to call the local traffic management center when the lane is taken and again when it is opened back up. This certainly helps, but it does not eliminate the problem altogether. To make matters worse, many closures are never reported at all. Utility companies are notorious for closing lanes without permission. They reason that they are only there for a short time and so won’t affect traffic all that much. But as traffic becomes more dependent on accurate travel time and route information, any disruption causes problems, and may even be dangerous. Incident response closes lanes; school crossing guards stop traffic; special events close roads and reroute traffic; flooding, fires and other environmental events also result in route closures and restrictions. This is an important point of discussion in the automated/autonomous vehicle world, too. If autonomous vehicles depend on historic GPS data to plan and drive a route, they will run into unexpected construction. So they must decide how they will adapt to changes in geometry, in the number and location of lanes, and much more. And delays resulting from these closed lanes and detours should be measured and included in any travel time algorithms. It is worth noting that the folks in the traffic data companies know of the problem but they can’t solve it on their own. Industry is beginning to fill this need. Arrow boards and flagger stop/slow paddles are being reinvented to become “smart devices”. They report in automatically when work begins and ends. And they also report their precise location. 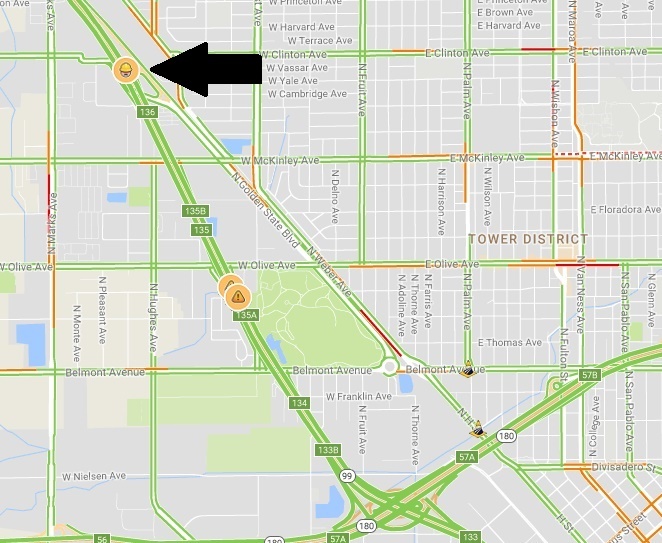 As the work moves, that is reported as well, so map data for work zones can now be reported in real time. Much work remains to be done. But the solution to this problem is clear. The closures must be reported in real time from the field. And that includes any changes in geometry when lanes are temporarily shifted in one direction or another. Highway construction, incident response and special events all experience unexpected changes on a daily and often hourly basis. Maps must reflect those changes if our system is to be as safe and efficient as possible.